a) All home inspectors shall comply with the standards of practice contained in this section when conducting home inspections. The scope of home inspection services performed in compliance with the requirements set forth in this section shall provide the client with objective information regarding the condition of the systems and components of the home as determined at the time of the home inspection. 22) Light pilot flames or ignite or extinguish fires. 3) Excluding systems and components from the inspection if requested in writing by the client. 4) Describe in the home inspection report the methods used to inspect under-floor crawl spaces and attics. 2) Describe exterior wall surface type and material. iii) Water heating equipment including energy sources. vi) Presence of solid conductor aluminum branch circuit wiring. i) Heating equipment and distribution type; and ii) Energy sources. i) Cooling equipment and distribution type; and ii) Energy sources. i) Insulation in unfinished spaces adjacent to heated areas; and ii) Evidence of inadequate attic and crawlspace ventilation. i) Type of fireplaces and/or solid fuel burning appliances; ii) Energy source; and iii) Visible evidence of improper draft characteristics. 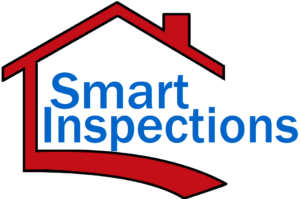 Smart Inspections proudly provides home inspection services including whole house, termite, & radon to the New Jersey area – Atlantic, Burlington, Camden, Cape May, Cumberland, Gloucester and Salem counties.